JOIN US AND START THE SWIMRUN SEASON IN COSTA BRAVA! We swim in the mediterranean, run trails and focus on everything in and around Swimrun. If you are new to the sport you will have the chance to learn the basics in a safe environment and if you are an experienced Swimrunner you will be able to drill your technique, physique and gear before the season starts. We are experienced coaches and our goal is that we all have an unforgetable weekend and go home with new Swimrun skills and new friends to train, compete or just enjoy a glas of wine with. 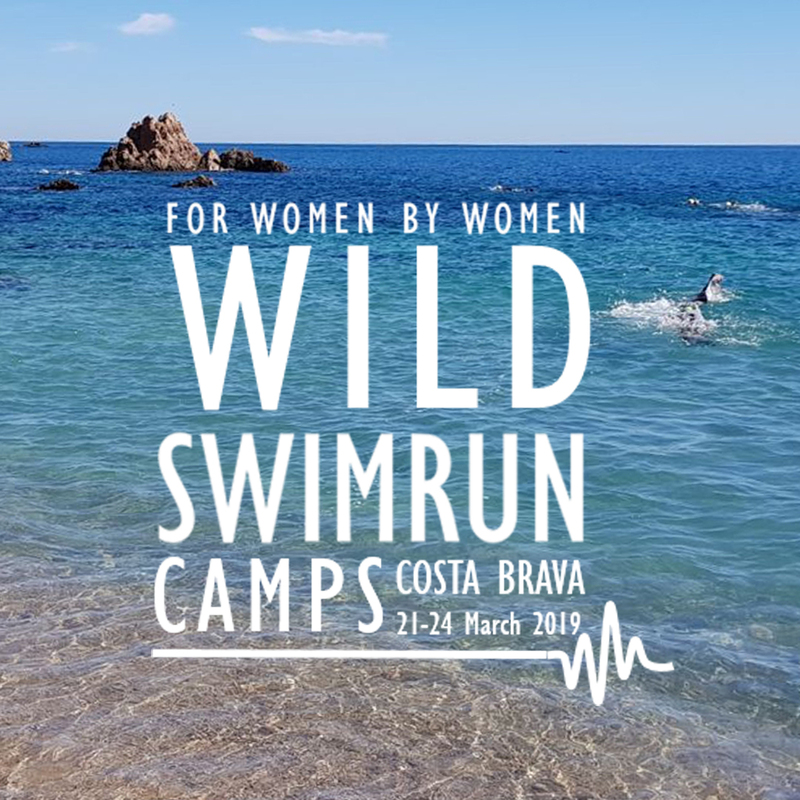 This camp is open for all women wanting to try swimrun, or those who are already experienced! The level will be beginner to medium, but we try to accommodate for different speeds and abilities of all individuals in the group so everyone gets the most out of it. Read more below and get inspired to join this trip! You can travel with a friend, or come by yourself – you’ll be sure to find many new team mates! Contact Mia or Fanny for any questions! Jog to the indoor pool (3km). We practice swim technique and drills according to our own abilities. Jog back to the hotel. How to swim in open water let it be calm sea or waves, navigation and drafting. We talk, test and share experiences and get to know each other better. We apply what we talked about earlier. For some it might be the first time in Open Water, for some it is not. How do we run more energy efficient? How can uphill and downhill running be more enjoyable? We stretch and work that core. Welcome drink at Dynamic Hotel bar and then dinner out. We make our way to the fantastic coast of Costa Brava for a full day of Swimrun. We Swimrun together along the coast from A to B. We have a support car to keep us hydrated and fueled. If someone wish to take a break that is also possible. We go back to Dynamic Hotel*** approx. 1-1.5h with minivan. Our experience tell us this is a good opportunity for some well deserved rest and recovery. We take care of our bodies and mind. We test different gear and maybe even partners. tow rope, googles, paddles and everything else that we might need or not need to enhance our experience with nature. It is time to challenge ourselves a little. We practice what we have learned during previous days. We swim, run and transition in pairs. We will coordinate Sunday afternoon activities accoring to everyones flight schedule. If you leave later you can go for a trailrun, swim or just enjoy the roof top bar and lounge at Dynamic Hotel***. Or why not spend some time in Barcelona. Please note that the following is not included: Flights (approx. € 100-150 if you book early), Transfer Dynamic Hotel*** (approx € 20 from Barcelona), beverages other than water during meals and any Extra snacks (we provide during activities away from the hotel). Sign up easily and securely through the form in the next page. Split payment is available so you don't have to put down the whole sum at once! Questions? We would love to hear from you. Get in touch with Mia and Fanny now.